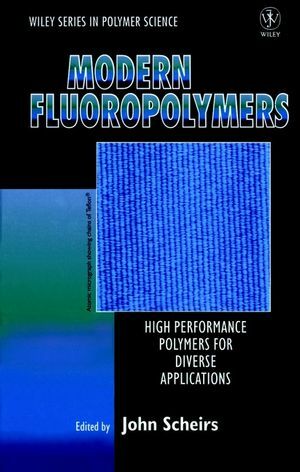 Provides an overview of a comprehensive range of commercial fluoropolymers with an emphasis on structure/property behaviour and their diverse fields of application. Topics covered include: crystalline and amorphous fluoropolymers, fluoroelastomers, coatings, sealants, linings, electrical properties, surface properties, effects of radiation, chemical resistance and failure modes of fluoropolymers. With chapters written by experts from industry and academia from North America, Australia, Europe, Russia and Japan, this book is truly international in scope and will be welcomed by researchers, processors and users of all types of fluoropolymer. John Scheirs obtained a Ph. D. in Applied Science from the University of Melbourne, Australia. Susequently, he worked as a development chemist in a development/technical service laboratory for the Exxon-Mobil polymer joint venture in Melbourne. In 1990, he spent one year as a guest researcher at Sussex University in the UK developing new, sensitive techniques for studying polymer degradation. From 1994-1996 he has been engaged in research in laboratories in Italy, Belgium and France. 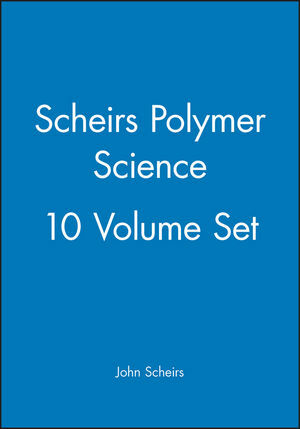 Dr Scheirs has authored over 50 scientific papers including eight encylopedia chapters and has given presentations at ACS, IUPAC and ANTEC symposia. He is on the editorial board of Polymer Degradation and Stability. Dr Scheirs is a member of the Society of Plastic Engineers (SPE), American Chemical Society (ACS), Institute of Materials (formally the PRI) and the Royal Australian Chemical Society (RACI). Current affiliation is with ExcelPlas Australia, a polymer consulting company. In the past two years he has worked on projects concerning the durability of fluoropolymers, particularly polyvinylidene fluoride and perfluoropolyethers. Fluorocarbon Elastomers (V. Arcella & R. Ferro). Processing of Fluoroelastomers (S. Bowers). Adhesion Properties of Fluoropolymers (D. Brewis & I. Mathieson). Ethylene-Tetrafluoroethylene Copolymer Resins (D. Kerbow). Fluorosilicones (M. Maxson, et al.). Liquid Fluoroelastomers (E. Ross & G. Hoover). Fluorinated Acrylic Ester Polymers (T. Shimizu). CTFE/Vinyl Ether Copolymers (T. Takakura).